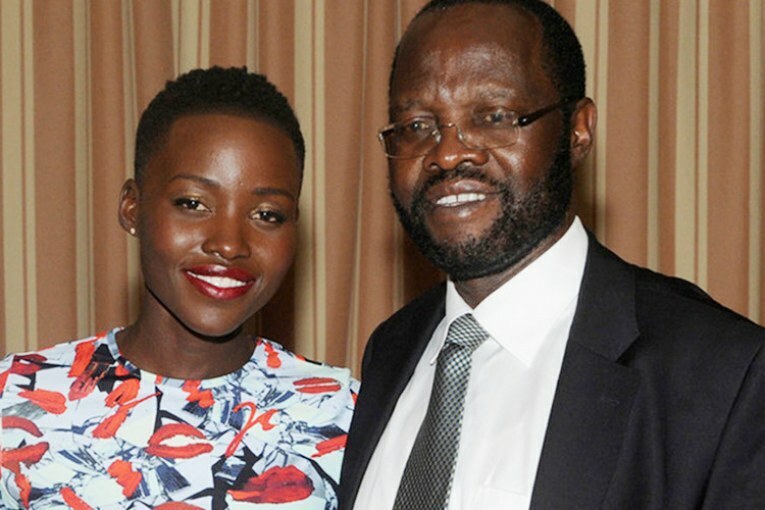 Lupita Nyong’o couldn’t make it to her father’s inauguration ceremony for his new role as Kenyan governor, but she’s sharing the lessons that her dad imparted, which helped her become the person she is today. Clearly, the father’s unconditional love and acceptance shaped how he raised his talented daughter. Here, in Lupita’s words, is what she learned. “2. It will be OK: He said this whenever I was sad with the little burdens of my childhood (a fight with my friends, a broken doll, a lost favorite piece of clothing). He also said this when I was concerned with the big burdens of his adulthood (detention without trial, house arrests, caught in tear gas during violent riots). Daddy said this to me as he held me close and I always felt a sense of comfort and security from him. I knew he would do all he could to make my life safe and that he was doing the same to make the country better for all of us. “6. Show me: My Daddy loves to learn from his children. He is not afraid to admit what he does not know, and admitting I am ignorant of things has saved me from a lot of unnecessary embarrassment. Not knowing isn’t a crime. Refusing to learn is. “7. Consider the other side: There [are] always two sides to a coin. Being able to identify the other side of an argument makes yours stronger. It also makes you more empathetic.